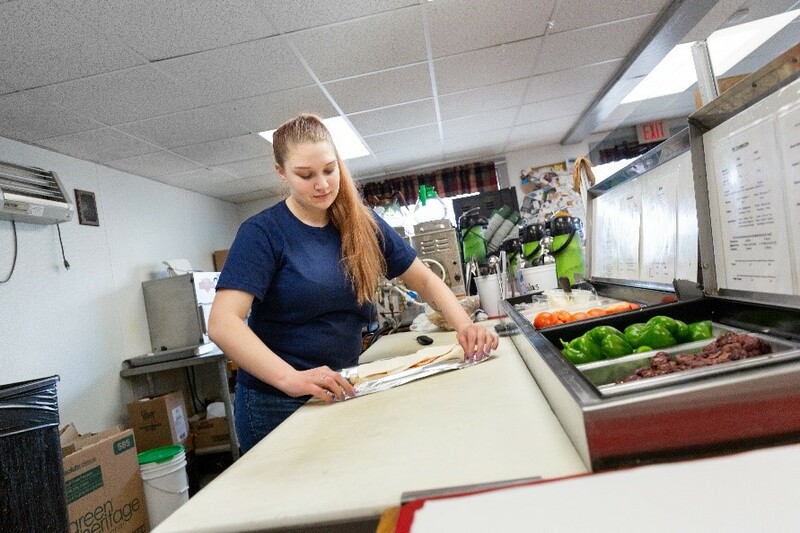 TJ’s Sandwich shop in Standish now greets customers with a brighter welcome thanks to Efficiency Maine’s Small Business Initiative. As the closest store to Sebago Lake in Standish, TJ’s Sandwich Shop greets a lot of visiting boaters. It’s also the unofficial town meeting place for locals. 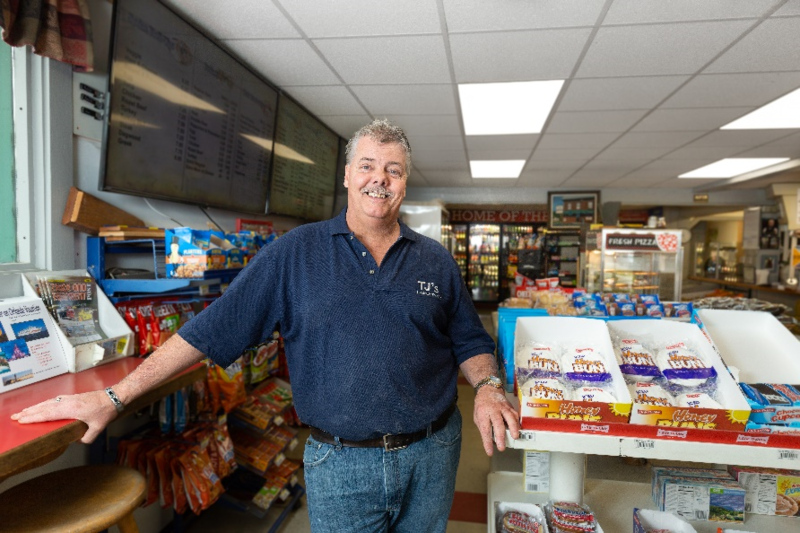 Now TJ’s offers a brighter welcome to all, while saving an estimated $1,700 per year on lighting costs, thanks to Efficiency Maine’s Small Business Initiative. “One of my long-time customers came in, took one look, and said, ‘Man, it’s bright in here!” mentions T.J.
After determining his eligibility by sending a copy of his most recent electric bill to our team, T.J. Davis was ready for his free-no-obligation lighting assessment. A local contractor, BSP Electric, performed the assessment, provided estimated project costs and savings, and installed sleek new LED strip lighting throughout the shop. “Our new lighting saves us money and makes us a more welcoming place!” notes Davis. The upgrade was completed as part of Efficiency Maine’s Small Business Initiative, a program that targets lighting upgrades in Maine’s small businesses. The upgrading process begins with Efficiency Maine arranging a free no-obligation lighting assessment with a local participating contractor. Second, following the assessment, we calculate your total annual savings after the upgrades and determine your one-year savings payback period. And third, we calculate your cost to be 25% of total project cost with Efficiency Maine covering the remaining 75%. To find out how you can improve your businesses lighting and start saving on your monthly lighting costs, please check our Small Business Initiative webpage by clicking here.